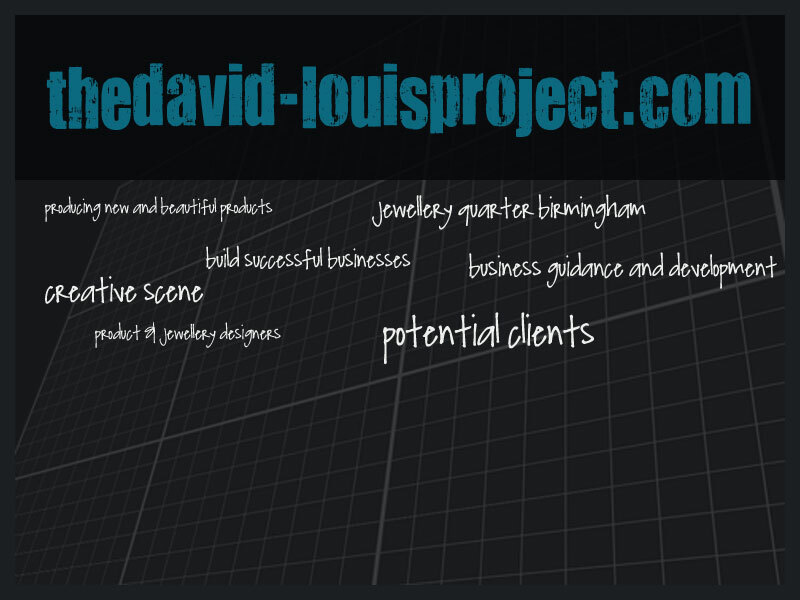 The David-Louis project is a mobile & fluid collective of product designers & jewellery designers based in Birmingham's jewellery quarter. The aim of the project is to create awareness of and generate a supportive environment for creative designers to build successful businesses whilst also producing new and beautiful products. The project is informal and designers that wish to be involved simply network with each other on the proviso that information is exchanged freely and as openly as is viable to their business. The result is a budding creative scene, business guidance and development, new product development and each member signposting the other to services, suppliers and potential clients.